Bhubaneswar: The Odisha government on Wednesday issued a draft notification to impose a ban on the use of plastics in five municipal corporation areas and Puri from October 2. 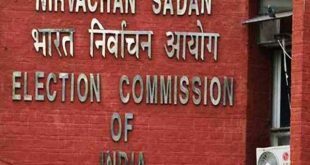 The forest and environment department issued the draft note inviting objections and suggestions from people or organisations on the draft norms. The department has asked to submit their suggestions or objections to the draft note to the director of the environment within 15 days. As per the draft notification, no person can sell, trade, manufacture, import, store, carry, transport, use or distribute specified types of plastic materials within the limits of the civic bodies of Bhubaneswar, Cuttack, Berhampur, Rourkela and Sambalpur and Puri municipality. 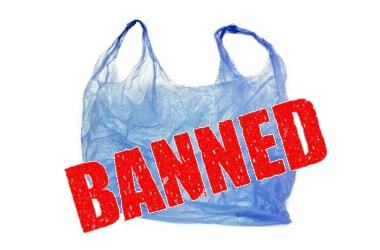 Polythene carry bags of any shape, thickness and size will be banned. However, compostable plastics that conform to the Indian Standard (IS 17088:2008) can be allowed after obtaining a certificate from the Central Pollution Control Board before marketing or selling it, said the notification. It said drinking water bottles and polyethylene terephthalate bottles of more than 500 ml capacity have not been banned. The government has asked manufacturers and producers of such products to take back the supplied items after use. The notification further said that ban will be imposed on thermocol decorative materials, single-use disposable cutleries made up of thermocol (polystyrene) or plastic including dishes, spoons, cups, plates, glasses, forks, bowls, straws, pouches to store liquid and container of any size and shape. The government, however, allowed vendors to use polythene sheets of above 50 microns thick for storing or transporting consumable items including drinking water, food materials, mineral water, packaging of milk and milk products and edible oil in a sealed manner. The order of the government will not be applicable for packaging materials used in plant nurseries, horticulture, agriculture and healthcare sector like medicines, blood transportation bags, syringes, samples or specimen bags, medical instruments and accessories.